Work is worship. The authors highlight through this book Work the significance of hard-work and underline its importance to achieve success in life. There is no shortcut to success other than hard-work. To elucidate this concept, the authors have presented 100 carefully chosen quotes on Work. Each quote is accompanied by a stimulating painting of Lord Ganesha, the Lord of Peace, Prosperity and Wisdom. Some of these thought-provoking and ever-inspiring quotes are from highly acclaimed personalities, who have significantly contributed to the well-being of the universe. Hard-work brings forth greater chances of success in one’s life. “God helps those who help themselves” and “lazy hands make for poverty, but diligent hands bring wealth” are some of the adages that propagate the vitality of hard-work. There is no alternative to hard-work. Whatever man has achieved so far is the result of his relentless effort and hard-work. It ultimately brings welfare to the mankind. Mt R.N. Kogata, a Chartered Accountant & Company Secretary by profession, and Mrs Lalit Kogata, a postgraduate and part Company Secretary, both hae an artistic background and deep interest I sculptures and paintings of Lord Ganesha. They probably have the world’s largest creation and collection of more than 11,000 types of statues/idols and painting of Lord Ganesha. The Gogata couple appears in the The Guinness Book of World Records, Limca Book of Record, India Book of Records, Asia Book of Records and Unique World Record Book for this great achievement. Other book authored by them are: Maa – The Mother, Pita – The Father, Pati – The Husband in the Eyes of Wife, Patni – The Wife in the Eyes of Husband, Parivaar – Family: The Art of Living Life, Bachpan – Childhood: The Gift of God, Insaan, Indian Marriage – Customs and Rituals; and a few very inspiring books of quotes on topics like: Faith & Trust, Family, Frienship, Happiness, Leadership & Teamwork, Life, Love, Management, Moods & Emotions, Relationship, Success and Time. "Work is worship". This is a very old proverb which means there is no better way to worship God than being hard-working. This is fully justified because what man has achieved during the course of his development is a result of hard work over a long period of time. He owes all his greatness to hard work. Hence, it is the root of all success. There is no alternative to hard-work. Today man has conquered in some way nature, he has set foot on the moon, he has traveled in the space, he has invented so many life saving drugs and all these became possible because he never neglected work. We see wonderful progress in the fields of agriculture and industry too. The methods of agriculture have been improved, resulting in the growth of production. Now the farmers are enjoying better days than what they had in the past. This is again the result of hard work. Indeed work is worship. There is an old proverb, "God helps those who help themselves". God also gets impressed, helps and cooperates only with those who are hardworking and sincere. God does not love being worshipped by a person each second. He wants that a person should work hard. So, it is not praiseworthy if we worship God all the time and do not work at all. There are people who believe that it is luck that plays super role in everybody's life. Hence, they avoid work and wait for the miracles, which according to them must occur in their life and consequently they would get all those things which they wish for. But in reality no such miracle happens particularly when we don't work. By hard-working and with sincerity only, one can hope for miracles. So, we must think that God has made us with some purpose and for achieving that purpose He has sent us into the world - the world of work. 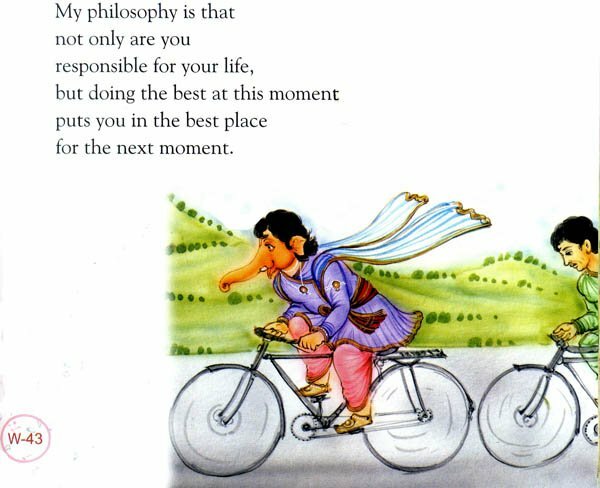 Now, it is our humble duty to utilize each and every minute in the best possible way. We have to utilize our potentialities to the full so that we may be counted among the successful persons of the world. Here, we should be alert that when we say that "work is worship" we mean work which is useful and wholesome for the society. Work, which is harmful for the society, can never be praiseworthy. Hence, our potentialities should be utilized in constructive works, not in making some poisonous drugs or destructive weapons or in planning some conspiracy or waging wars or in doing anti-social activities. These can never be a blessing for mankind nor can these make God happy. Our work must be creative and it must have some humble base. Only then we can say "work is worship", otherwise it will be devil's worship. India has a rich heritage of hard-working people such as Mahatma Gandhi, Dr Rajendra Prasad, Jawahar Lal Nehru and Sardar Patel. We should learn from them and work for the benefit of the nation at large. We also need to realize when do our efforts succeed and when do they not, and a required exertion is necessary for us to consider anything as work, we may enjoy it too, and also, feel some necessity to bring about the outcome. Our mind has registered a plan, a path our action will follow, and also, what we will look to avoid, and in recognizing the earliest indications of this negative effect lies a measure of our skill. Actually a large component of our skill lies in avoiding the unwanted from happening, which can perhaps happen in many ways. It is important to consider the scope of our effort and know that there are other parts linked to it, and their movement is going to affect our efforts. In the modern society, people need to work hard in order to achieve their goals. An individual, who possesses a higher level of working abilities, has a greater chance of success. The working abilities include skills to work independently or abilities to work with a group of people on a team. And may be the group effort and cooperation within are more likely to accomplish greater achievements compared to working alone. In order to understand it more realistically, we have conceived the idea of this book to tell you much more about work in just few hours. These meaningful quotes about work will touch, inspire and move you, and you can thus more easily understand doing and completing the work successfully. This book contains 100 carefully chosen quotations on Work, mixed, modified and created. Some of the thoughts presented are ours and others are from the people who have stood by and worked for the values; some were famous and some others were ordinary people. We have tried to indicate in the acknowledgment page the persons who have quoted wherever we could remember. Our sincere thanks to all these great personalities and eminent writers; who have given such invaluable thoughts to this world. Any amendment/addition in this regard is most welcome from the readers. Ganesha gives peace, prosperity and wisdom. 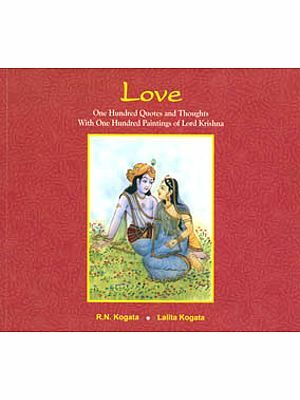 Therefore, each of the quotes in this book has a painting of Lord Ganesha to inspire you. These paintings have been created by our professional artists keeping in view themes of individual quotation. We prostrate before our parents Smt Kanchan Devi and Shri Bhairav Lal Kogata, and late Kamla Devi Nuwal and late Prof. K.M. Nuwal, whose blessings have enabled us to grow in life.